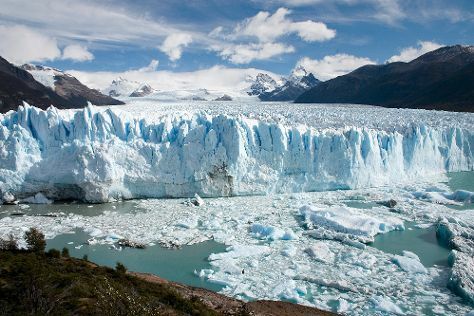 Kick off your visit on the 2nd (Wed): explore the striking landscape at Perito Moreno Glacier. To find reviews, traveler tips, ratings, and other tourist information, refer to the Los Glaciares National Park trip planner. Chicago, USA to Los Glaciares National Park is an approximately 32-hour flight. Due to the time zone difference, you'll lose 3 hours traveling from Chicago to Los Glaciares National Park. In August, Los Glaciares National Park is much colder than Chicago - with highs of 38°F and lows of 36°F. Wrap up your sightseeing by early afternoon on the 3rd (Thu) to allow time for travel to Buenos Aires. Buenos Aires is known for sightseeing, nightlife, historic sites, museums, and parks. Your plan includes some of its best attractions: don't miss a visit to Recoleta Cemetery, admire the striking features of El Ateneo Grand Splendid, snap pictures at Puente de la Mujer, and admire the masterpieces at Museo Nacional de Bellas Artes. To find where to stay, maps, more things to do, and tourist information, read our Buenos Aires trip itinerary planner. Traveling by combination of bus and flight from Los Glaciares National Park to Buenos Aires takes 6.5 hours. Alternatively, you can take a bus. When traveling from Los Glaciares National Park in August, plan for much warmer days and somewhat warmer nights in Buenos Aires: temperatures range from 61°F by day to 50°F at night. Finish your sightseeing early on the 7th (Mon) to allow enough time to travel to Puerto Iguazu. The gateway to a national park inscribed on the World Heritage List, growing Puerto Iguazu sits on the confluence of two major rivers near the border with Paraguay and Brazil. Start off your visit on the 7th (Mon): take in the dramatic scenery at Iguazu Falls. Get ready for a full day of sightseeing on the 8th (Tue): look for all kinds of wild species at Guiraoga, take in the dramatic scenery at Salto Bernabe Mendez, then don't miss a visit to La Casa de Las Botellas, and finally don't miss a visit to Hito de Las Tres Fronteras Argentina. To see reviews, where to stay, other places to visit, and other tourist information, go to the Puerto Iguazu tour planner. You can fly from Buenos Aires to Puerto Iguazu in 3 hours. Other options are to drive; or take a bus. Prepare for a bit warmer weather when traveling from Buenos Aires in August: high temperatures in Puerto Iguazu hover around 77°F and lows are around 56°F. Finish your sightseeing early on the 8th (Tue) so you can travel back home.